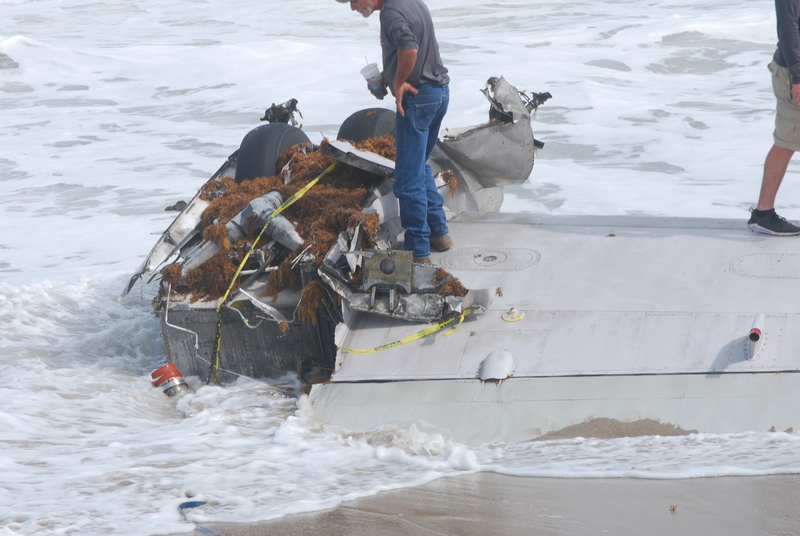 St. Lucie County, Fl- The wing of an airplane, including part of the fuselage, was spotted on Normandy Beach Sunday in St. Lucie County. A Convair C-131 crashed Friday 13 miles off Miami on a flight from the Bahamas. The Coast Guard rescued one survivor Friday. #Update #Happeningnow, correction to the initial report of the downed aircraft, the type of aircraft is a Conquest Air 504 that was reported down approx 13 miles east of Bay Harbor Island FL. 1 person hoisted from wreckage, search continues for reportedly 1 person missing. The other plane was Dr Ken Simmons from Greenacres who was aboard his Piper aircraft with his wife and two dogs.